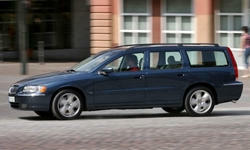 2001 Volvo V70 The car will start fine then dies after 5-30 minutes of driving. Wait 5 min and will start and then die 5 -30 of driving. In shop now and mechanic is having difficult time finding solution. Messagewindowshows something about electrical. First thought was the alternator but that check out ok Then checked the relays in the CEM ( central electroic module) under the steering wheel. He thinks one of the relays--overload? or fuel pressure relay?. Anyone have a similar issue? No CEL and I don\'t know if it is showing any codes. Sounds just like the V70 I had. Multiple mechanics were familiar with the problem and all told me it's the throttle controller Volvo used for a few to several years around the time your car was designed and built. They said a new one costs several hundred to more than $1,000, and that in theory you could find a used one and try to install the software or find someone who could do it for you. Each recommended junking the car, which at that point was worth less than the part -- if it ran. Each mechanic, even those specializing in old Volvos and normally fond of the brand, spoke quite harshly about Volvo's decision to use this part. I wish I could offer more hope, but I got rid of the car for $400 and will never buy a Volvo again. Perhaps you're lucky and it's something else, but it doesn't sound good. Good luck. Had an 85 Caprice with similar symptoms: cause- clogged catalytic converter. Possibly related to bad valve guide seals. I guess oil sneaked through the seals, went through engine and into cat.